Mobile Home Renovation or Replacement? 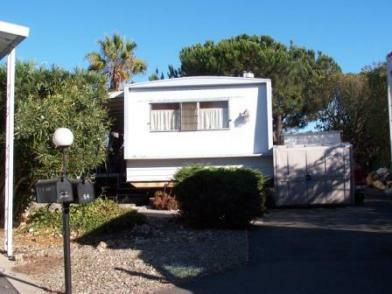 Many Mobile Homes were installed in the 1970's and are nearing their life span. Most owners will consider the important question: is Mobile Home Renovation better or is Replacement the right choice? Many factors must be considered when deciding which option is better. Ok, why are you considering the Mobile Home renovation or replacement? Perhaps you are going to sell and you want to get the biggest bang for your buck? Maybe you want to live in the home and enjoy the home for many more years? If you are going to sell right away your first choice should be to replace the Mobile Home. You will be able to ask a higher price and get it sold quicker. If you are to live in the home, then either option may be just fine for you. You will have to consider more factors, like your current floor plan - does it suit your needs? Are there enough bedrooms and bathrooms? What is the condition of the current Mobile Home? Perhaps the current home has been kept in very good condition? Maybe is is falling apart? Maybe the current home is too small or lacks a good floor plan? If the current home has good "bones" and is in good shape (have the chassis and foundation inspected) then a Mobile Home renovation could be a good option. If there are any major problems with current home then a new Manufactured Home is the better option. Are you doing any of the work your self? Are you in construction or would you need to hire some one for all of the work? If you are handy with a hammer, then a Mobile Home renovation might work well for you. The ability to do your own work will pay off, but don't expect very high returns for your efforts. However, if you would need to hire a contractor to do all the work, it is almost guarenteed to be better to replace the home with a new one. The bang for your buck goes way farther. What financing options do you have? Would you need to finance some of the work or all of it? Check the options you have for cash out on a refinance for home improvement and also for new replacement (new construction or construction-to-perm) financing. Click here for our financing information. Typically, there are more options for replacement financing than home improvement cash out - make sure to check this before deciding. If the current home is on a small lot, and only will fit a similar sized home, this could be a reason to do a Mobile Home renovation on the current unit. Have a qualified person come out and measure your lot. If the current home is on a normal to large sized lot, then chances are that a replacement will be better. Why? New Manufactured Homes are usually larger than the older homes they replace - lot size is critical in planning for a new home. You MUST have a qualified person measure the lot and the Park sign off before proceeding. See our Dealer recommendation for a good person to work with, and also see the Mobile Home Repair page for qualified people to call. What are the current Park requirements for renovation and replacement? You will need to clear it with the Park either way, so checking with them might shed some light on which will be better, renovation or replacement. In some instances the Park will require a new home to conform to a certain look, like having a brick or stone facade. These requirements might be costly and should be considered before deciding. In other instances the Park might require that all new homes be of a certain sized smaller than what is there currently - with the current home being "grandfathered" in. It will pay to check early on in the process. Lastly, what is the current housing market like for Mobile Homes in your area? You may see that a new Mobile Home will fetch a higher price than an older home in the same park - this is typical. However, there are some areas that simply do not command a high enough price for any home to justify a new replacement to be done. For instance, in some parts of Los Angeles, a new replacement home will not sell for any more than it costs to haul away an old one, build and install a new one, and closing costs and commissions. 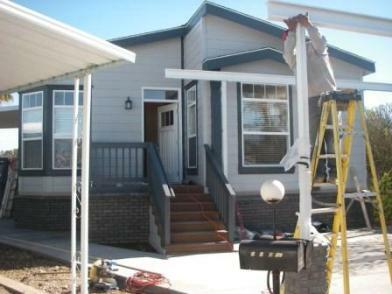 A new Mobile Home is going to be worth more than a complete renovation 95% of the time. Do your homework - ask questions, get qualifed inspections done, check with the Park.